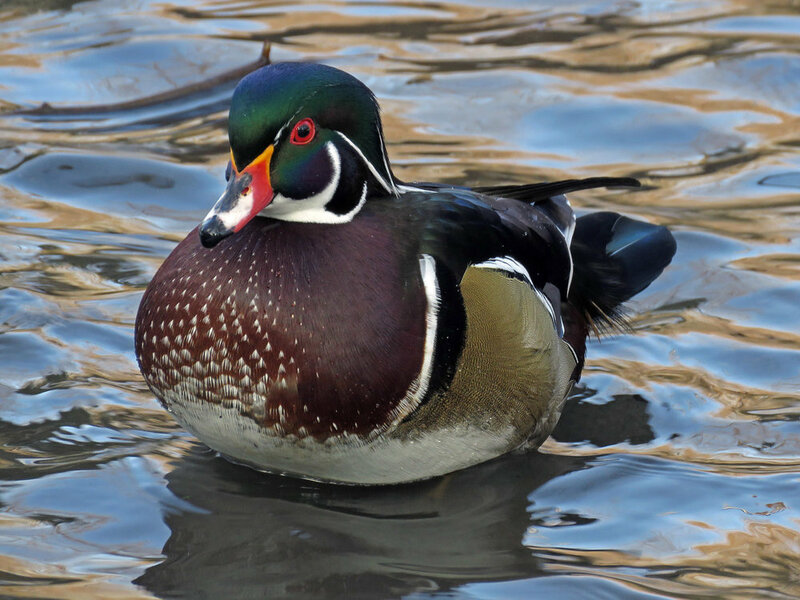 There is a separate page for Wood Ducks, but this page is dedicated to the most incredible wood duck to ever squeak: Woody, Prince of the Pond, who resides in Central Park. 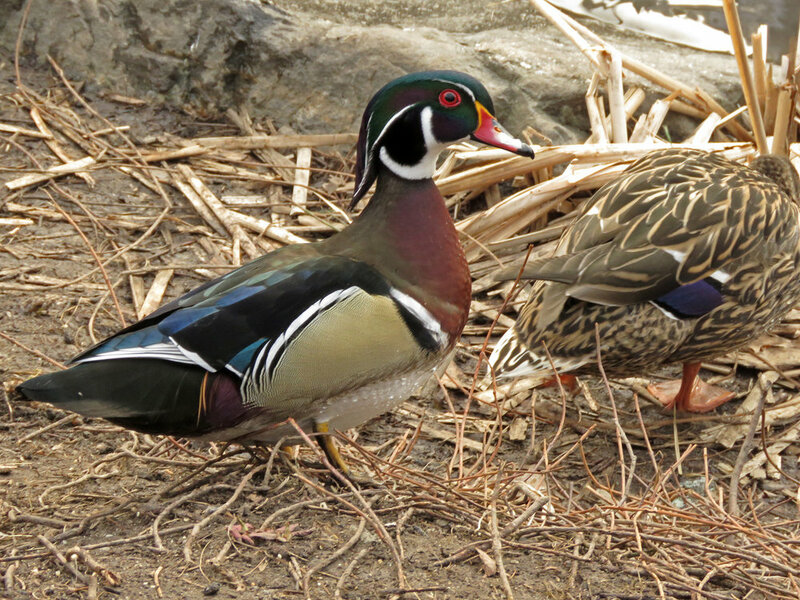 Here you can see Woody and his "students," the young wood ducks who arrive at the Pond as normal shy wood ducks and learn to be aggressive, self-assured woodies after hanging out with Prince Woody. Uncle Woody Explains It All! Woody's newest student has been learning a lot at the Pond. Check out my blog posting, my video and some pictures of Woody and his mentoree. 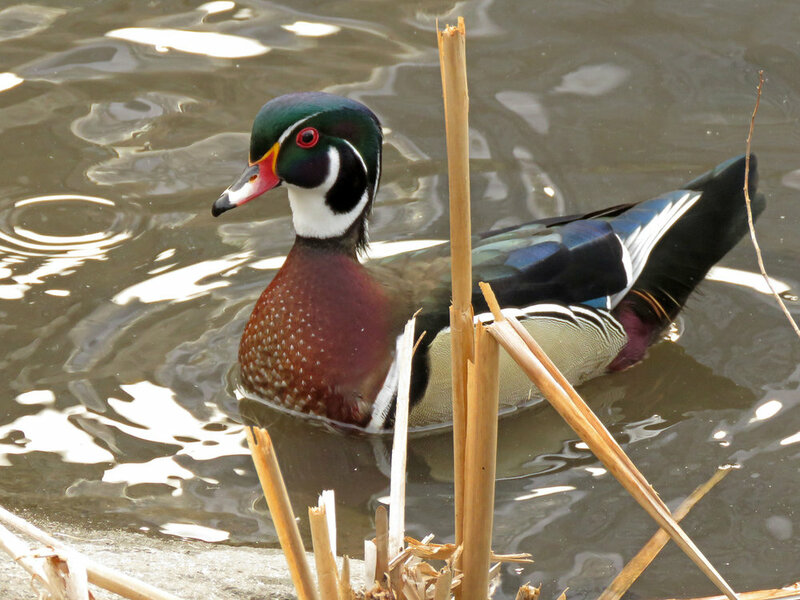 In previous years, Woody would leave the Pond for maybe a week or a month, usually in May. This year, Woody left March 5 (or at least, I last saw him on March 4), and did not return. I kept returning to the Pond, but the worry and sadness got stronger and stronger as I didn't see him. I kept myself busy chasing hawks, but I really missed my friend. But Woody returned!!! I saw him once again on June 16, and my joy was overwhelming. I put together my "love letter video" to Woody, and share it with you now. Woody is shown in full feather before his vacay, and then in the different stages of molting until he is back in full feather once again. It was filmed March 3 through Oct. 3, 2016. I set it to Beethoven's Sixth Symphony, and he is worthy of that masterpiece! This gallery shows Woody going through the molt. It begins with a photo from March 3, right before he disappeared, and then shows him after his return in June through Oct. 2, 2016. 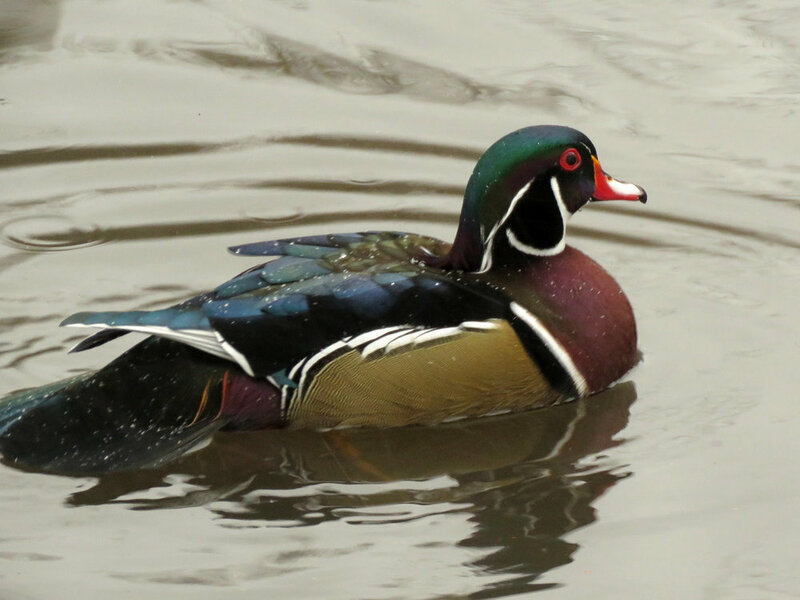 Here is a video the Chronicler put together, a little ode to Woody, the Wonderful Wood Duck, Prince of the Pond. This is the amazing Woody on March 2, 2016. He always sparkles in the sunshine. He left later in March, and has not yet returned. 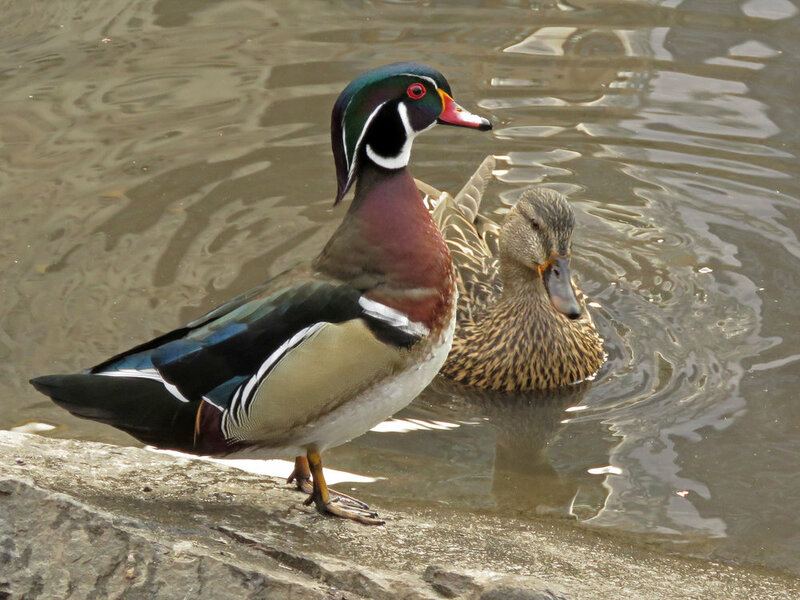 I look forward to his return to the Pond to molt. I miss him and his wonderful squeak. Left and center: Woody on Feb. 11, 2016; right: Woody on March 4, 2013. This is Woody during the Jan. 23, 2016, blizzard. He is always handsome, but in the snow, he shines! Woody on a sunnier days in 2013.